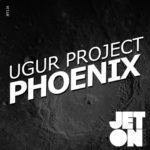 The one hundred and sixteenth release of Jeton Records, originally based in Istanbul, owned and managed by Turkish Techno Player Ferhat Albayrak, welcomes back Ugur Project with Phoenix EP. Jeton’s Ugur Project is a veteran Techno-Head for decades and has an important role in Turkish Dance Music Scene. 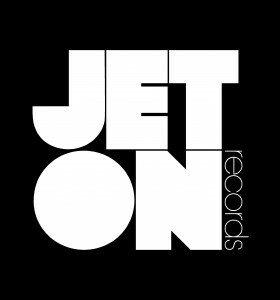 Mainly in Jeton Events and Showcases, he played with almost all the important artists of the scene and has a great talent on production skills as well. His last EP on Jeton Zenith received great support from important artists like Richie Hawtin and Ilario Alicante to name a few. He returns to the label with a great four-trakker, all tested and focused for the dance-floor. His sound is evolving every release and he escalated his career by signing to Great Stuff Recordings last summer as well. Ugur Project – Phoenix EP is a full spectrum, full of various choices for the dance-floor. Enjoy! 2pole – Rotation is the one for us! Carmello Ponente – Such a great release. All the tracks are very good. Will def support this one! Eme Kulhnek – rush forme ! thanks ! Joy Fagnani – Good release! Phoenix and Pulse are great! Riza Gobelez – Love it! Spartaque – Cool tracks! Will play!